If you seek adventure in Puyallup and Tacoma, you need a truck that can handle it all with you, and then some. Nissan trucks provide everything you need for work and for play. From the latest technology, to the many safety features, to the incredible performance and power, these trucks are the best vehicles to have with you to tackle any job. Learn more about these impressive trucks below. Staying connected is always important, and Nissan trucks provide a variety of technology features and tools that keep you completely connected at all times. NissanConnect with Navigation allows you to stay completely connected while on the go through apps, phone calls, navigation, and much more. SiriusXM Travel Link® provides traffic, weather, sports, and stock updates to keep you completely in know while on the go. Interact with your vehicle through your smartphone and enjoy features like remote start and roadside assistance. Multiple power outlets ensure every Nissan truck driver stays fully charged throughout Tacoma and Puyallup. Rearview or full view camera provides the complete visibility you need for peace of mind. From technology to built-in tools, Nissan trucks deliver all the safety you need to stay protected in Puyallup and Tacoma. Standard airbags create the protection you need in the event of a collision. Standard tire pressure monitoring system alerts you when your tires need to be treated. LATCH system delivers the right safety for small children. Active Brake Limited Slip provides the necessary traction to keep your vehicle where it needs to be at all times. Vehicle security system provides the right protection to keep your Nissan truck where it’s meant to be—with you. There’s a place for everything, and with a Nissan truck, everything will be in its place. From under-seat storage to full-size beds, you may actually have room for more stuff. Flexible rear seating ensures that you can always find the right spot and the right fit for all your belongings, no matter their shape or size. Rear benches can either fold up or fold down flat to create even more storage space for all your cargo and hauling needs. Available rear door access makes it easier to get things in and out of the cabin. Locking tailgate ensure you always have the security you need while on the road or on the job. Various bed sizes provide the exact dimensions you need for work and for play in Tacoma or Puyallup. If you’re going to drive a truck, you want one that delivers insane power. 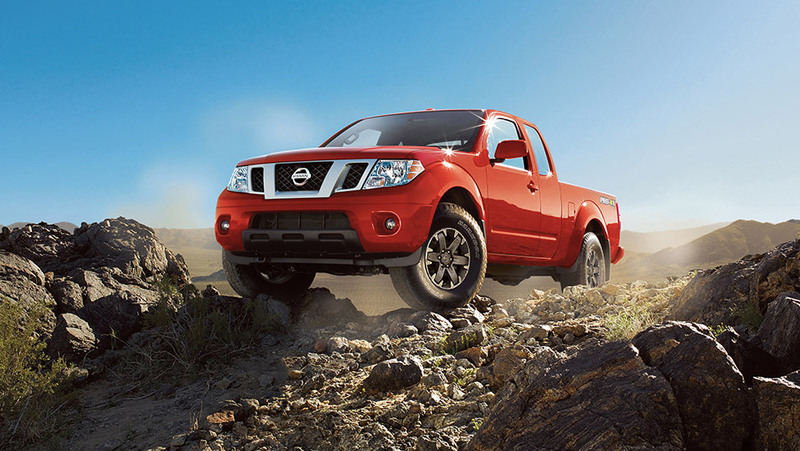 Nissan trucks are extremely powerful and were built to tackle whatever you throw at them in the most impressive way. Powerful engines deliver the impressive horsepower and lb-ft of torque to create a dominating effect on the Puyallup and Tacoma roads. Different models provide varying towing capacities that are perfect for work and play. Steel frame provides the power and protection you need whether you’re on the road or off. Features like Hill Start Assist or Off-Road Performance Shocks provide everything you need in terms of power and control. 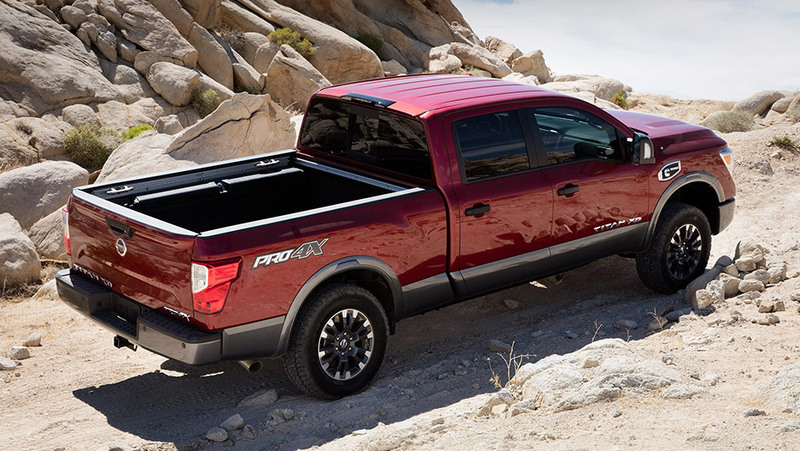 The 2016 Nissan Frontier is a powerhouse when it comes to taking off-road adventures. No matter if you’re in Puyallup, Tacoma, or anywhere else, you’ll have peace of mind on the open road or a rocky mountaintop. And with a V6 engine and a towing capacity of up to 6,500 pounds, you’ll be able to experience power and adventure rolled into one. Couple that with the plethora of storage, available safety features, and incredible amount of technology, and this is definitely one Nissan truck to bring home today. If you’re looking for a Nissan truck that truly breaks the mold, the 2016 Nissan Titan is the vehicle you need to acquire. With a 12,300-pound towing capacity, high-strength steel frame, and V6 engine that offers 310 hp and 555 lb-ft of torque, you will never be bored again. This truck also boasts one of the most innovative beds found today, and includes LED bed lights, power outlets, and Utili-track® cargo system to help complete all your hauling needs. And when you’re on the inside, you can sit back and enjoy a variety of luxury features, such as push button start, heated and cooled front seats, and quality materials. Nissan trucks are the perfect choice for Puyallup and Tacoma drivers, and they provide everything you need in terms of power, style, technology, and safety. No matter where the road—or the off-road—may take you, these vehicles are the best possible choice. Puyallup Nissan has a large inventory of these vehicles just ready for you to experience today. Contact us today at 253-848-4507 to schedule your test drive or to learn more about the Nissan trucks that make the right sense for your driving needs.